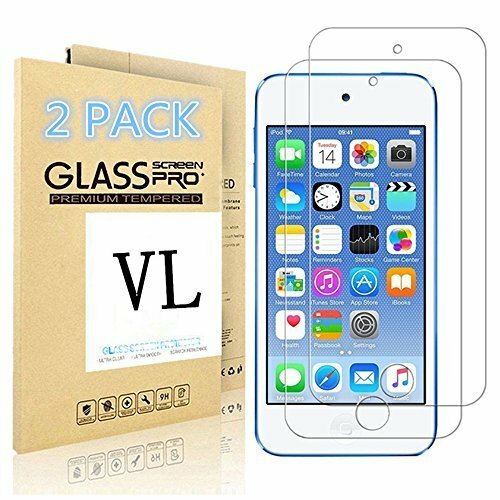 2 Packs Premium crystal clear Apple New iPod touch Tempered-glass screen protector with 9H hardness. Apple New iPod touch (2015 July New Released) and iPod touch 5 Only. 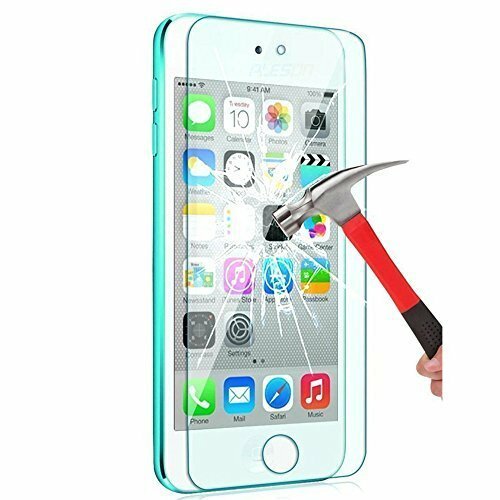 9H hardness tempered glass, which is 3 times stronger than normal 3H hardness, can effectively protect your iPod touch from unwanted scratches and friction from keys, knife and other harmful factors. 98.86% light transmittance ensures maximum resolution for super amoled displays, you can barely feel the existence of glass protector when reading or watching. Highly responsive and sensitive touching performance makes your iPod touch function smoothly and work fast. It is 100% brand new,Highest Quality,Amazing look and feel! 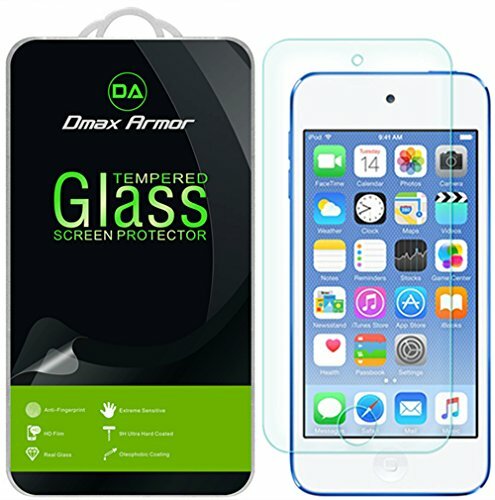 Preserve the way your stunning iPod Retina HD Display,but also with maximum protection! 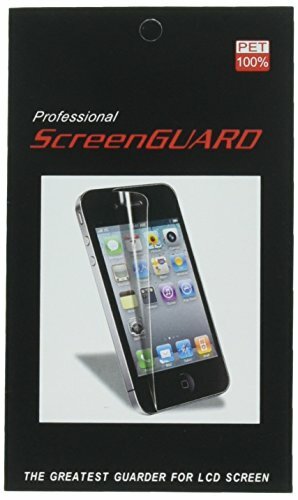 Protect the Screen against dust,scratches and shocks by coating the glass sheild on the screen, easy to install. Precise laser cut tempered glass, exquisitely polished, rounded edges. Original HD Clarity and Touchscreen Accuracy.Reduces fingerprints- Oleophobic Coating magically resists oils and reduces annoying fingerprints. Easiest Installation - removing dust and aligning it properly before actual installation,no worrying about bubbles,enjoy your screen as if it wasn't there. [12-month Warranty] Compatible Model(s): Work for iPod Touch 6G (6th Generation) / 5G (5th Generation) by Apple. 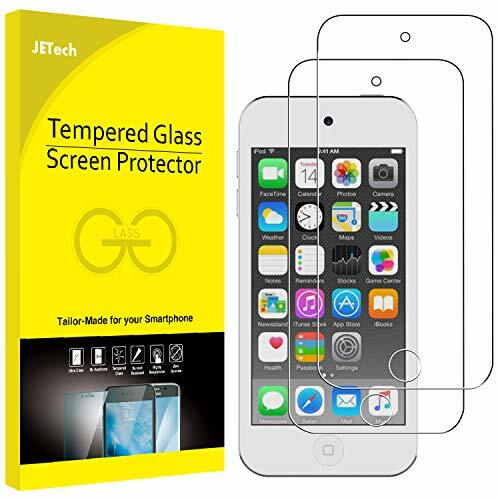 Notice: This Screen Protector is designed only for iPod touch 6th and 5th generation. Precise laser cut tempered glass (Hardness: 9H), 0.20mm, 2.5D Rounded Edges. High-response, High-transparency, and High transparency, Featuring maximum protection from high impact drops, scratches, scrapes, bumps. Scratch resistant, Shatterproof, Perfect Clarity and Touchscreen Functionality / No Rainbow Screen / Bubble-free. Excellent material: Industry-leading Japanese special processed glass and innovative glue, ensure maximum protection and wonderful adhere. Anti-Shatter: If broken, tempered glass breaks into small pieces that are not sharp, making it safer than other glass products. Compatible with Apple iPod Touch 6G (6th Generation)2015 Version / 5G (5th Generation) Only,Not Fit for and other phones. 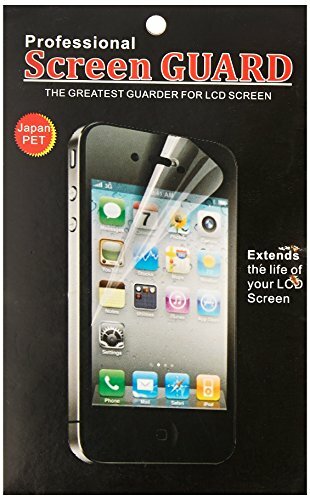 NOTE: Due to the round edge of Apple iPod Touch 6G (6th Generation)2015 Version / 5G (5th Generation), the screen protector will NOT cover the full screen, but only the flat area. 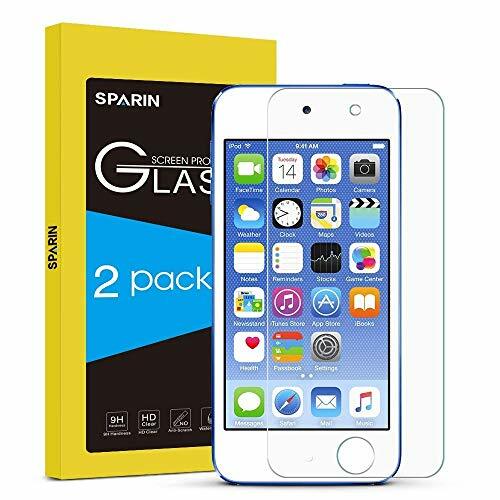 Package Includes: 1 x 4 Pieces Kit Screen Protector Compatibility: Apple iPod Classic 6th Gen 160GB (2007) / 6th Gen 160GB (Late 2009) / 6th Gen 80GB / 120GB Product Description: 1 x 4 Pieces Kit Screen Protector NOTE: Please do not perform the installation in the dusty environment. Please read installation steps from the two tabs on the front and back protector layers before performing installation. Protect your MP3's LCD screen against dust and scratches and eliminate glare 4 piece design Front screen Back of Classic Click wheel Area outside of click wheel Designed for perfect fit with the LCD screen Offers tough, durable, transparent surface while keeping the LCD screen clean and unscratched Attaches smoothly with self-adhering surface; leaves no residue when removed Features 99% UV Protection: Reduces eye strain caused by the LCD screen Anti-Scratch Film: thickest and most durable 99% Transparent: unmatched clarity Washable and Reusable: Never need to buy another screen protector again Silicone Adhesive Coating: No glue residue when removed Ultra Smooth Surface: Enhance the experience and utilization of touch screen and stylus features Includes Reusable Screen Protector Lint-free Cleaning Cloth Accessory ONLY. MP3 not included. Apple does not endorse use of these products. 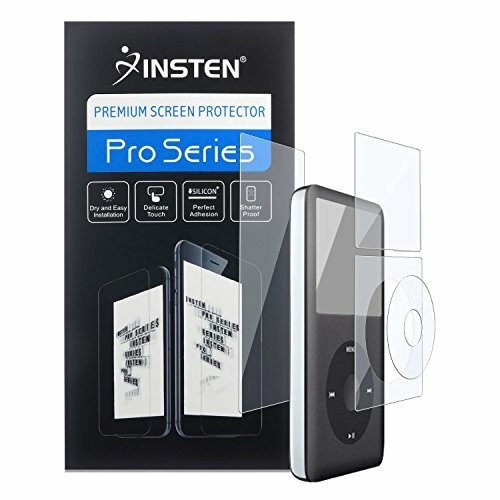 NOTE: Please apply the screen protector gently in order to avoid too much pressure onto the screen Product names are trademark of listed manufacturer or other owners, and are not trademarks of Insten Fulfillment. The manufacturer does not necessarily endorse use of these products. Free lifetime replacement warranty for the life of your PIONEER XDP-100R / XDP-300R HI-RES DIGITAL AUDIO PLAYER. 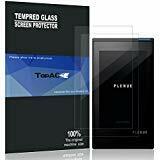 We recommend our LFOTPP tempered glass screen protector for your Sony NW-WM1A/NW-WM1Z. Due to the curved edges, the glass screen protector is designed to be smaller than the actual screen in order to prevent bubbling and peeling off. 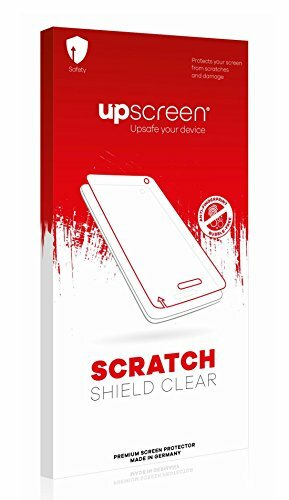 The ultra thin screen protector not interfere the sensors or responsiveness especially the touch sensitivity and it will not effect you to play games or use any software. If the screen protector have broken, it will not broke debris or small pieces scatter in various random directions. The superior quality Corning Gorilla Glass can protect your iPad resist daily scratch and no residues left when be removed, it is convenient for you to change new screen protector. 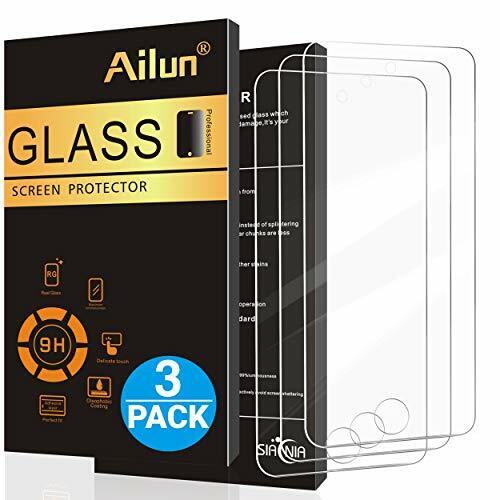 Attaches smoothly with a self-adhering surface, bubble free, simply align the protector with your device and a simple swipe of your finger adheres the protector to your screen( Automatic Adsorption). 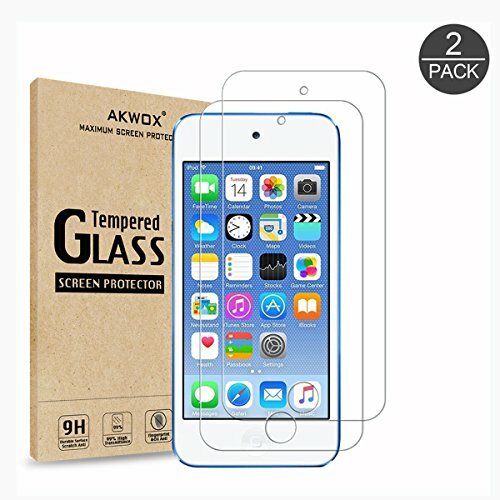 Our products are assured quality, and we support new item replacement for broken Glass Screen Protector, If for any reason you are not satisfied, please give us an opportunity to improve your experience by contacting us through "Your Orders" tab in your Amazon account.We will always be here for you. 0.26MM Thickness, 2.5D Round Edge delicate touch, 99% transparency to retain original color and natural viewing experience,with oleophobic coating to reduce fingerprints and smudges. Compatible With Apple : iPod touch ; 1st Generation/2nd Generation/3rd Generation iPhone, or iPad are registered trademarks of Apple, Inc. Products are Apple compatible and not endorsed by Apple, Inc. Designed specifically to match the rounded edges and perfectly fit iPod Touch 5th / 6th Gen.
Hassel free, bubble free, easy and quick installation. No sticky residue when removed. 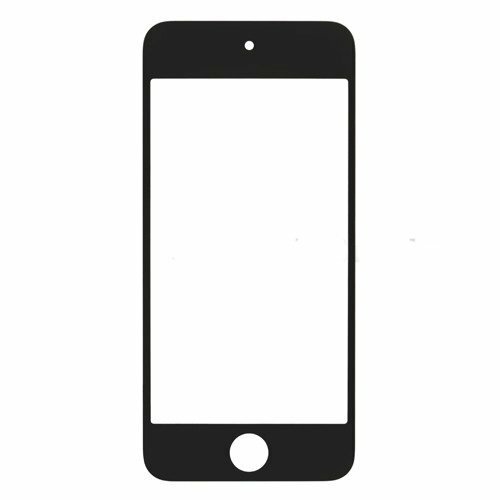 Special Note: Due to curved edge of Apple iPod Touch 5, the screen protector will NOT cover the full screen but only the flat area. Ultra clear high quality 0.3 mm thick premium tempered glass screen protector with rounded edges made exclusively for iPod Touch 5 / Touch 6. Provides maximum protection from high impact drops, scratches, scrapes, and bumps. One push easy and quick installation. Resists scratches up to 9H (harder than a knife) and provides natural screen experience. Designed for Apple iPod touch 5th / 6th Generation. 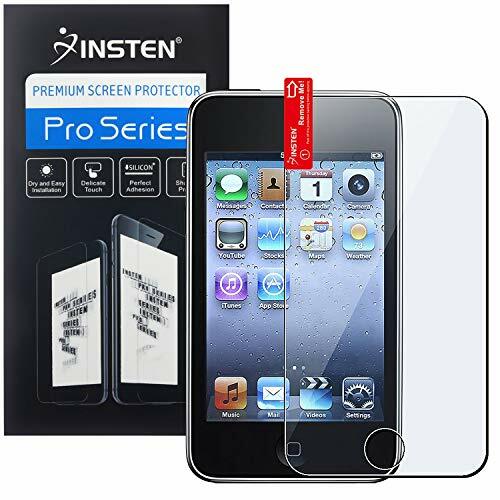 Perfect Fit: Specially designed and precisely cut, this tempered glass screen protector covers the flat portion of the iPod Touch screen ONLY. High Transparency: Perfect cutout can keep the high resolution of the camera, it doesn't affect anything. 2.5D Round Edge: The 2.5D round edge provides more comfortable handle feeling than the right angle edge. Installation Guide: For easier to install this iPod Touch 6th Generation screen protector, we specially create installation guide video. please refer the video information in the user manual. Repeatable Installation: If there is spot, bubble, or section that doesn't adhere, please gently peel the screen protector off and install it again. Press on the center of the screen before the adhesive progress begins that will make sure the adhesive progress from the center to the other sides, to keep out air. 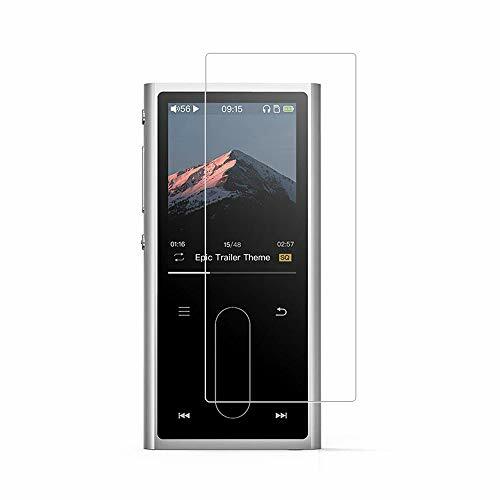 -0.26mm thin tempered glass screen protector for Cowon P1 Plenue Audio Player. Featuring maximum protection from high impact drops, scratches, scrapes, and bumps. Please Note: All Cowon P1 Plenue Audio Player screens have curved edges that our screen protectors do not cover 100%. Precision cut to specifically fit Cowon P1 Plenue Audio Player. High-response & high-transparency: Only 0.3mm thick,and promises full compatibility with touchscreen sensitivity. Screen protectors should be subtle. Inferior brands degrade the experience of using your device by being visually distracting, uncomfortable to touch, and highly disposable due to low quality. 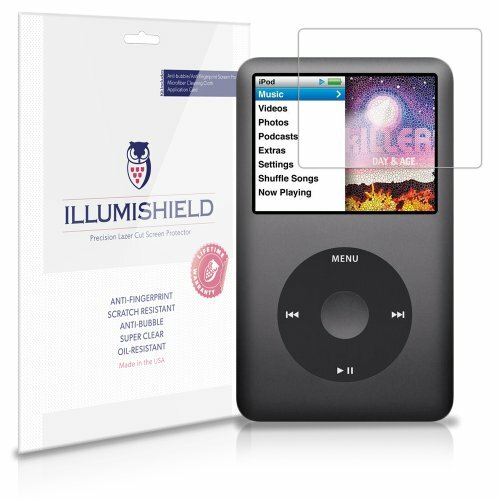 iLLumiShield's Ultra Clear HD Apple iPod Classic screen protector line was developed to address these common issues. 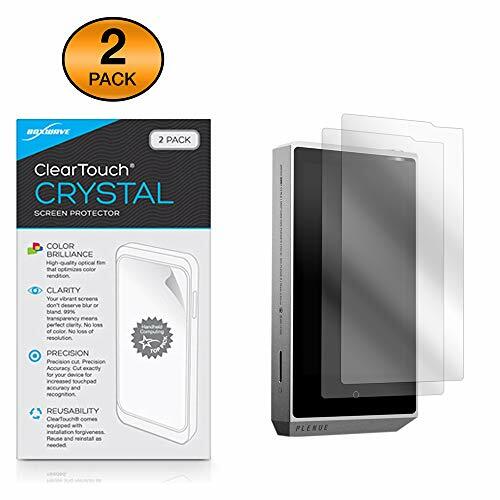 Our Ultra Clear HD screen protectors offers superior protection from scuffs and scratches while providing unparalleled crystal clear visibility. Designed to be virtually invisible with a true touch feel, iLLumiShield screens are manufactured using only the highest quality PET film imported from Japan. An additional optical-laminate layer enhances the clarity of your screen so that you can enjoy the full range of colors on your favorite devices. 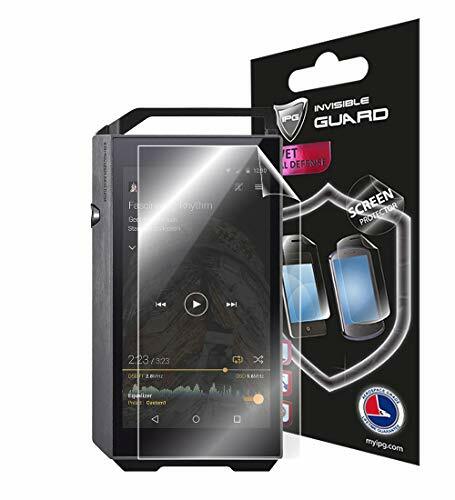 This kit features 3x Ultra HD Clear screen protectors for Apple iPod Classic along with a set of instructions, installation squeegee, microfiber cleaning cloth and the iLLumiShield lifetime warranty. Designed with High Quality PET film imported from Japan that consists of multiple layers. Each layer provides specific functions that allow the Ultra Clear HD line of Apple iPod Classic screen protectors to outperform competitor products that use inferior materials and manufacturing processes. iLLumiShield Ultra Clear HD screen protectors provide crystal clarity with unmatched durability. Crafted to be as invisible as possible, our screen protectors offer True Touch and glass-like feel for a superior tactile experience, so it's as if there's nothing there at all! Specifically designed for Astell&Kern A&futura SE100 Audio Player. 9h hardness for the ultimate protection: wear resistance, heat resistance, shockproof, scratchproof, explosion-proof and best impact. 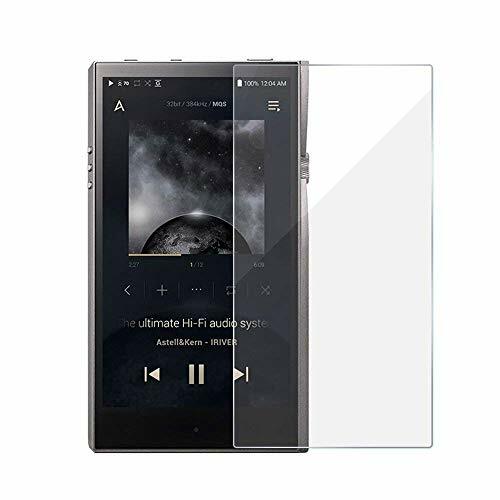 The ultra thin screen protector promises full compatibility with touchscreen sensitivity and preserves your device's original high-response touch feeling without any interference, can maintain the touch feature for your Astell&Kern A&futura SE100 Audio Player. 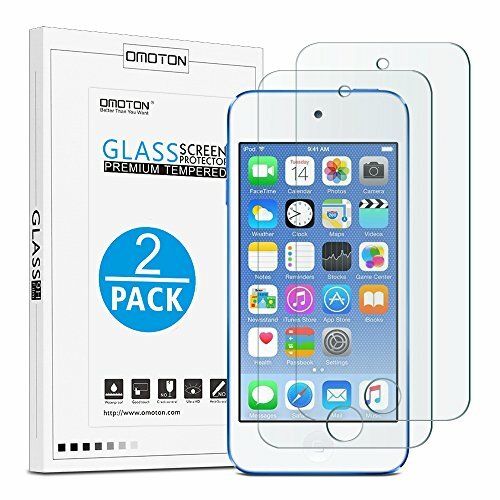 The Screen Protector for iPod Touch 5th /6th Generation make of Highest quality Tempered-Glass, offer best protection for your original screen from shattering,with an industry leading hardness of 9H. Featuring maximum protection from high impact drops, scratches, scrapes, and bumps direct to the screen. Designed for Apple iPod Touch 5th /6th Generation. Precise laser cut designed specifically to offer max body coverage. Ultra thin-0.33mm thickness is reliable and resiliant, and promises full compatibility with touchscreen sensitivity. 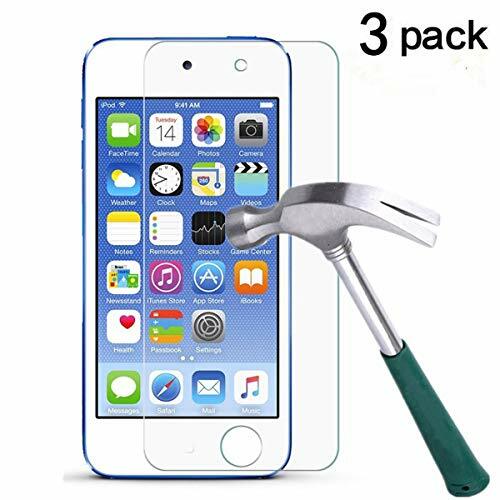 1 Retail package includes: 2pcs tempered glass screen protector for iPod Touch 5th /6th Generation, 2 wet and dry Screen Cleaning Paper,2 Sticker. Pre-cut to match screen shape, No cutting is required! Cover the full screen! Self-adhering, leaves no sticky residue after removed! Products with 6 months warranty. If you have any question about the products you received, please don't hesitate to contact us by Amazon message.We will give you reply within 12 hours and solve your problems as far as possible to make you satisfied. This Group Vertical replacement part is compatible with Apple iPod Video (5th generation) (A1238). We recommend all repairs made to your device are performed by a professional technician. Specifically designed for Sony NW-A45 NW-A46 NW-A35 NM-A35HN NM-A36HN NM-A37HN Audio Player. The ultra thin screen protector promises full compatibility with touchscreen sensitivity and preserves your device's original high-response touch feeling without any interference, can maintain the touch feature for your NW-A45 NW-A46 NW-A35 NM-A35HN NM-A36HN NM-A37HN Audio Player. 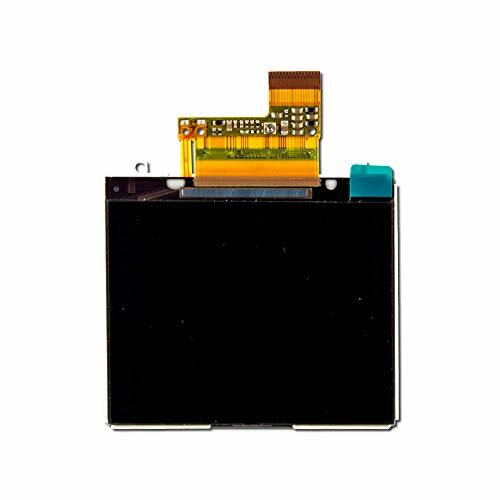 This Group Vertical replacement part is compatible with Apple iPod Touch 5 (A1509, A1421) only. 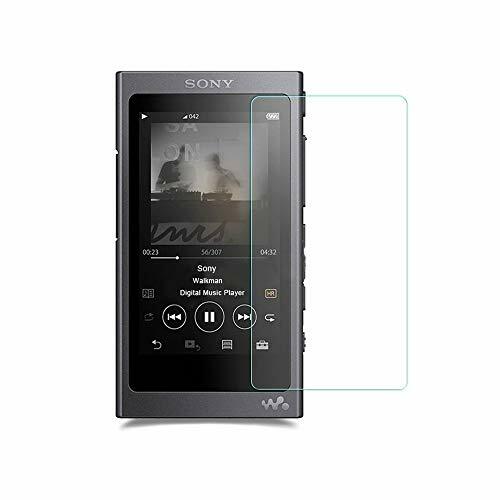 Increase the protection of the screen of your Sony NWZ-E384 from dust and scratches with our extra thin and easy to apply Mikvon film screen protector SuperClear Sony NWZ-E384. We produce in Germany the SuperClear film screen protector Sony NWZ-E384 transparent with professional precision for your screen Sony NWZ-E384. If you apply our film screen protector SuperClear Sony NWZ-E384 to the screen of your Sony NWZ-E384, you can preserve for a long time the value of the screen of your Sony NWZ-E384, our guarantee thanks to our professional Mikvon film screen protector SuperClear Sony NWZ-E384. Enjoy with our crystalline SuperClear Film screen protector Sony NWZ-E384 absolute colors fidelity and optics. 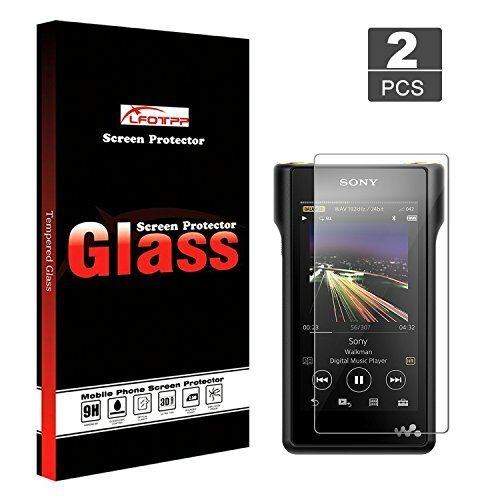 Protect the screen of your Sony NWZ-E384 with our excellent film screen protector SuperClear Sony NWZ-E384. 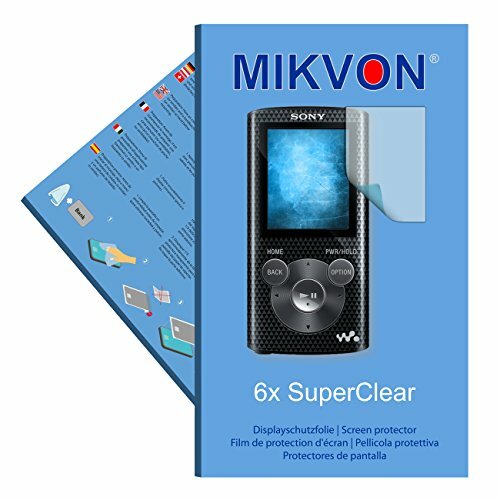 Mikvon SuperClear - Films screen protector Sony NWZ-E384 (6 pieces)... Attention: It is only possible to protect the Sony NWZ-E384 device in the centre of its display! With this order you will receive square protective foils - these conform to the inner area dimensions of your display. Keep your screen pristine with BoxWave's ClearTouch Crystal, the industry leader in screen protection. Our innovative ClearTouch material provides maximum screen protection while preserving crystal clear optical clarity. Your Plenue R's screen will also be protected from dust and harmful scratches. Made with a firm, high quality dual-layered film, our ClearTouch Crystal is engineered with precision to fit the exact dimensions of your beloved Plenue R.
Experience the benefits yourself and see why so many others use the ClearTouch Crystal to enhance their Plenue R screen! 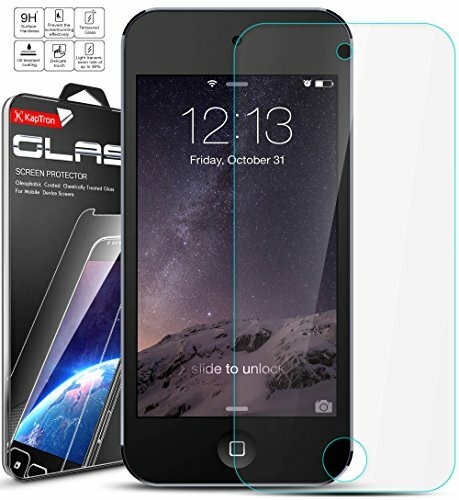 Award winning, crystal clear Plenue R screen protector, precision-cut to fit your device's exact dimensions! 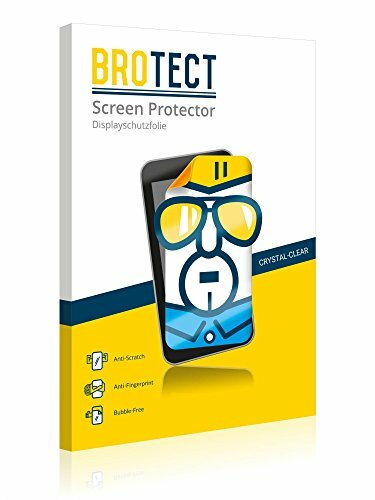 BROTECT Screen Protector offers perfect screen protection without being noticeable thanks to the protective film's super clear material. You still have a crystal-clear and sharp view of all the content on the screen. Brand: BROTECT. | Manufacturer: BROTECT. Brand: upscreen. | Manufacturer: upscreen.